This is a Divi Email Optin module. Just for demo purposes. Bloom is an email opt-in plugin that was built to help you grow your email list. 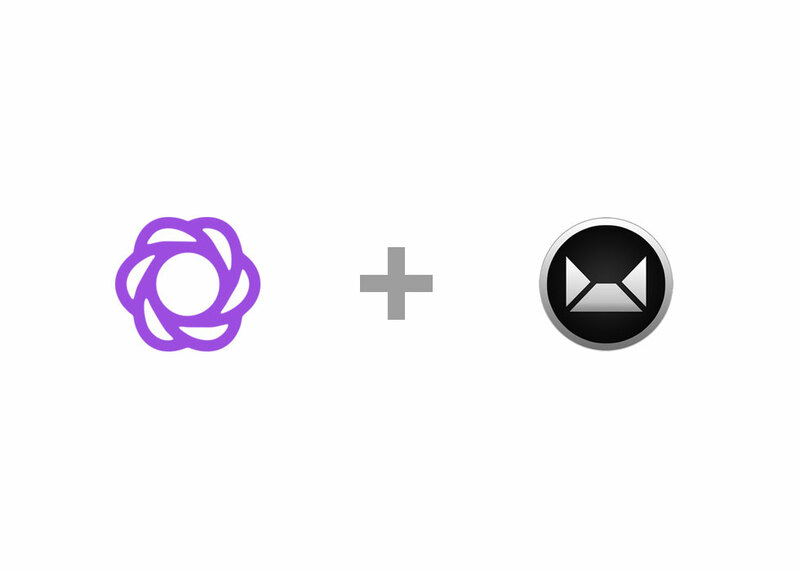 Bloom works by adding email opt-in forms to your website, each of which can connect to your email marketing or email newsletter software. When someone signs up using the Bloom opt-in form, they get added to your email list. Bloom works with tons of different email marketing software, and allowing you to create different types of opt-in forms that appear on different areas of your website and in different forms (such as pop-ups, fly-ins, or normal inline forms). Add support for Bloom Custom Fields. Add support for Sendy gdpr field to help with EU GDPR compliance. Add support for capturing IP address. Seamless integration between Bloom and Sendy. Supports for EU GDPR compliance. Captures IP address, and referrer url. Support Divi Email Optin Module. Easy installation with virtually no setup. Support multiple Sendy installations. Each optin can connect to different Sendy system if needed. Unzip the package av-bloom-sendy-premium.zip on you computer. Go to Plugins > Add New menu, then click the Upload Plugin button at the top. Starting version 1.3.0, when an update is available you will receive notice in your WordPress dashboard. Just click on the update link. Click the Activate link on the Bloom - Sendy Integration Addon plugin. Enter your license key in the license box. In the Admin dashboard, go to the Bloom option page, and select the Email Accounts tab. 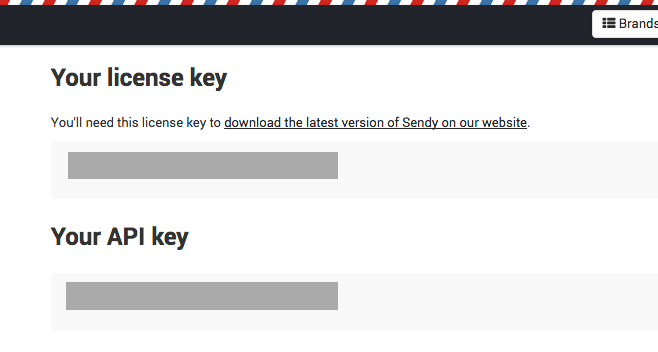 From 'Select Email Provider' drop down menu, choose Sendy. Bloom will then load fields required to connect Bloom to Sendy. 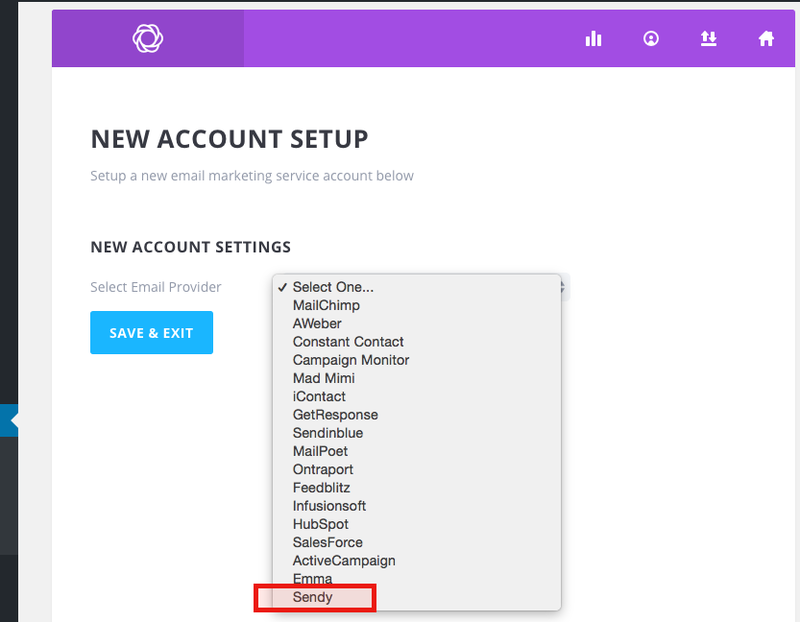 Go to your Sendy installation and go into your account Settings. There you can find your api key. Enter the required information into the corresponding fields. 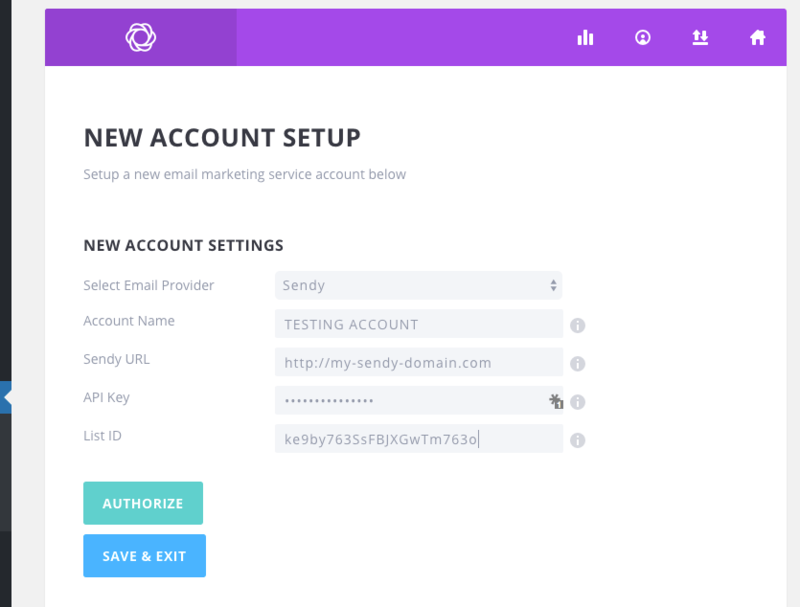 You will need to enter the account name, the URL of your Sendy installation, the api key (from Step 3), and the hash-id of the Sendy list you want to connect. Then click the 'Authorize' button. Congratulations, you have now integrated Bloom with Sendy. For further help in creating your Bloom optins, you can go to the ElegantThemes’ Bloom documentation page. Add a Checkbox custom field to your Bloom optin form. See this page on how to manually add a custom field. Set the other parameters of the custom field as appropriate. Create the custom fields in your Sendy list. Add Bloom custom fields in your optin. Set the ID of the custom field the same as you have set in Sendy. Set the other parameters of the custom fields as appropriate. Bloom-Sendy Integration addon version 1.2.x requires Bloom version 1.2.x to be installed in your system. If you have earlier version of the Bloom plugin, you can still use version 1.0.0 of the Sendy integration addon. Copyright © [wpsos_year] WPVisionaire. All rights reserved. This is a Bloom Popup Optin. Just for demo purposes.